Twerp is a very interesting little book. It’s definitely nothing like I’ve read before – but then again, I barely read contemporary children’s books. Julian Twerski has done something bad. He makes a deal with his English teacher: if he writes about it, he won’t have to do a report on Shakespeare. Twerp is the result of his writings. I loved it. Julian is a very smart kid, he’s in the gifted class and has a way with words, as his teacher puts it. He views the world with both the childlike simplicity that comes with being twelve, while on the other hand he has intellectual insights that come with his intelligence. Twerp is filled with tales of boyish mischief and his quest of staying the fastest runner at his school. I think it’s very prejudiced to say that girls probably won’t enjoy this book. 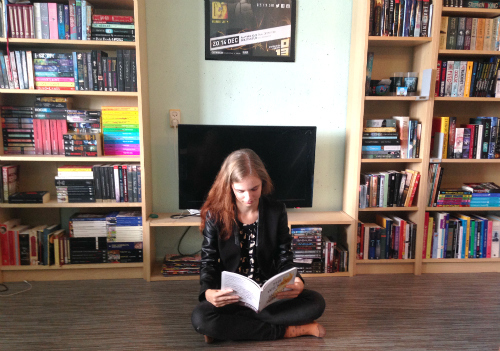 It might be written from the view point of a boy, but girls face the same problems when they are young as boys do – the problem of finding a balance between being friends and being a brainless follower, insecurities of social standing at school, romantic troubles… I don’t think Twerp alienates girl readers, and I think most girls will quite enjoy it. I know I did. In the end the entire book revolves around what Julian did that got him suspended. And it was quite bad. I felt so sorry for what happened. It was very realistic; things like this happen all the time to children, and I thought Mr Goldblatt has a very good insight in how these things happen. Julian isn’t a bad person, but he did do something inexcusable. Sometimes good people do bad things. In the end there is of course some redeeming (otherwise the book would condone bullying), but that doesn’t negate the fact of what happened. I think the subject was handled perfectly. It’s out there in the open (Mr Goldblatt doesn’t feel like covering up what happened with pretty words and flowery expressions), and so are the effects of it. It’s clear and to the point, something I think young readers will appreciate. The way Julian’s mind works reminds me of myself when I was younger, which is why Twerp is a five-star read for me. 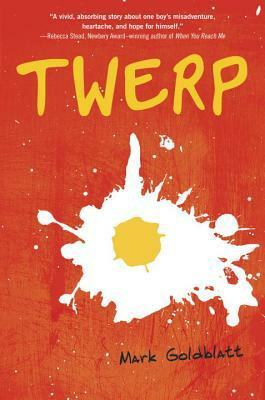 Even for people who might not be able to identify themselves with him as much as I did, I think Twerp will be an enjoyable and quick read.